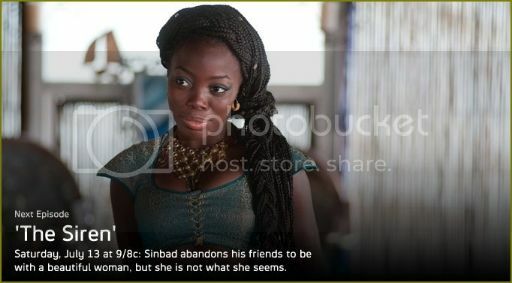 Watch a sneak peek of the next all-new episode of Sinbad, Saturday 9/8c. An injured Sinbad (Elliot Knight) awakens in the care of a mysterious woman and he develops a fondness for her, not knowing her true motives. Guest stars include Yigal Naor, Janet Suzman and Georgia King.